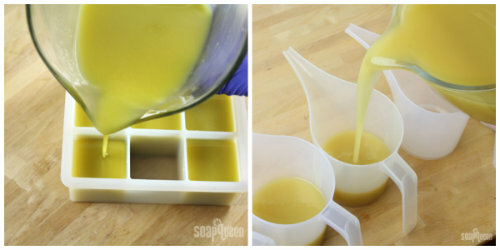 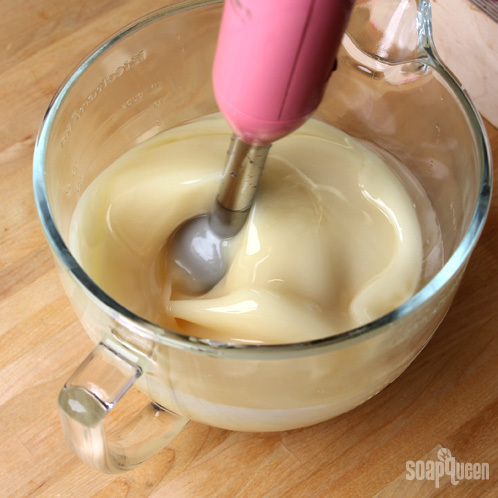 With a few more pulses and stirs with the stick blender, the soap will reach light trace. 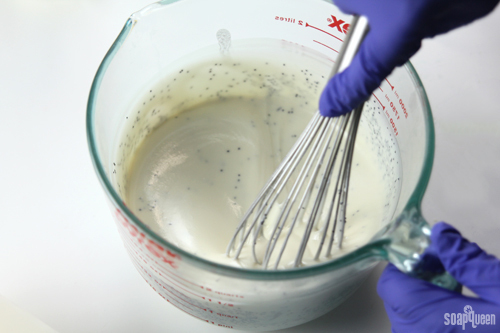 Light trace refers to soap batter with no oil streaks, and has the consistency of thin cake batter. 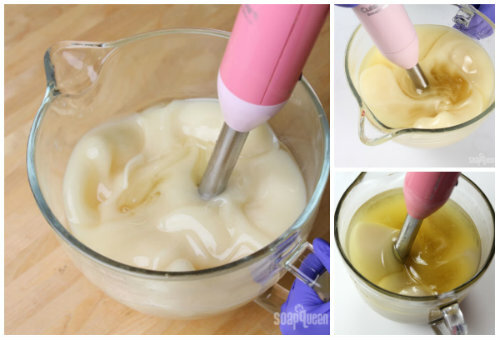 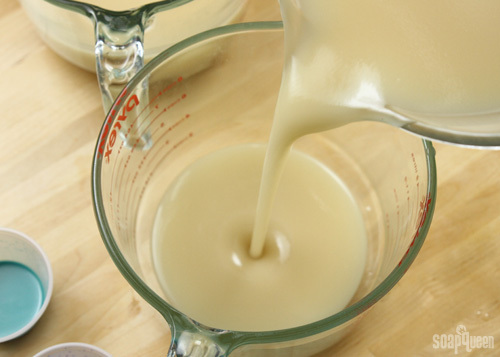 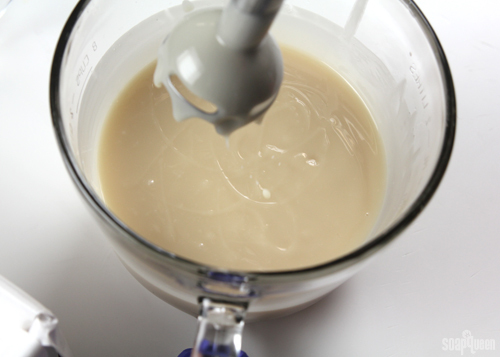 The batter will be easy to pour, as shown below. 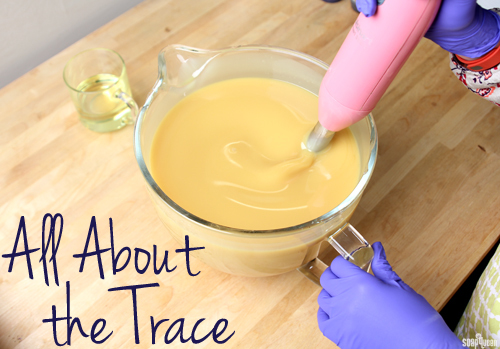 Thin trace is an ideal time to add colorants and fragrances because the thin texture is easy to stir and blend. 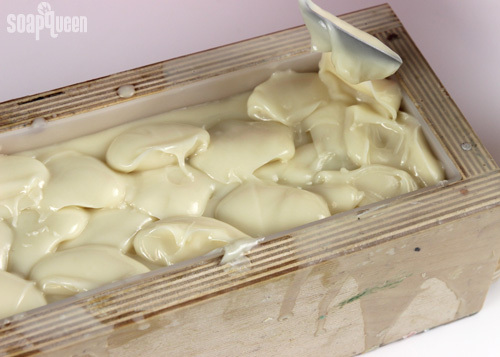 Light trace is perfect for swirled cold process designs, such as the Fall Sherbert Cold Process and theFrench Curl Cold Process soap. 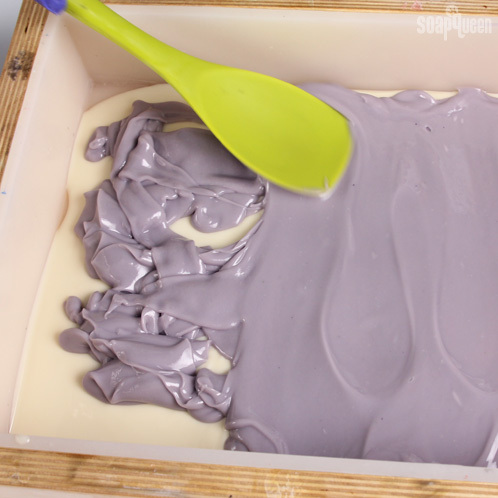 If you’d like to see light trace in action, check out the Instagram video below!